Mario Giampietrois ICREA Research Professor at the Institute of Environmental Science and Technology of the Universitat Autònoma de Barcelona, Spain. He works on integrated assessment of sustainability issues using new concepts developed in complex systems theory. He has developed a novel scientific approach, Multi-Scale Integrated Analysis of Societal and Ecosystem Metabolism (MuSIASEM), integrating biophysical and socioeconomic variables across multiple scales, thus establishing a link between the metabolism of socio-economic systems and the potential constraints of the natural environment. Recent research focuses on the nexus between land use, food, energy and water in relation to sustainable development goals. He has (co)authored over one hundred publications, including six books, in research themes such as multi-criteria analysis of sustainability; multi-scale integrated assessment of scenarios and technological changes; alternative energy technologies; urban metabolism; bio-complexity; science for governance. 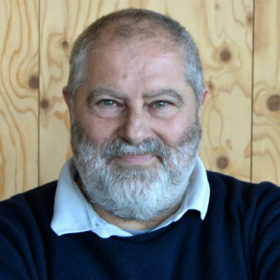 He is the coordinator of the EU-funded project ‘Moving Towards Adaptive Governance in Complexity: Informing Nexus Security’ (https://magic-nexus.eu/).